A friend of mine asked me to take her kiddo’s picture so they could have a few pictures for Easter. It was a tough shoot since: a) I only shoot landscapes/non-living things, and b) he’s a little over 1 year old. I was getting free food out of the deal, plus it would give me a chance to practice shooting actual people. 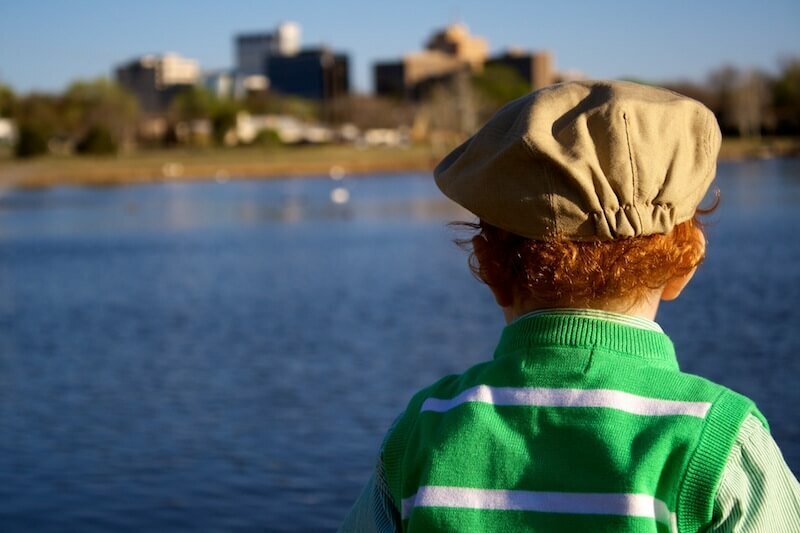 We decided to go to the duck pond here in Midland to get some shots. When he got outside, it’s like he went deaf. He wouldn’t look at the camera no matter how many times you said his name, plus he would run straight for the water (especially if there were ducks there). A few times I was shooting consecutive shots hoping to get a good picture, then I would have to reach my arm out and grab him just before he fell in the pond. Anyway, enough babbling about how difficult it was. This is my favorite shot from the shoot. There were some other good ones, but this one just really stood out to me.